Colorado Northwestern is currently one of seven FLETA accredited academies in the nation that offers academy training approved by the National Park Service and the Federal Law Enforcement Training Center (FLETC). The Ranger Trainee course is a hard-hitting challenging course that will test you mentally, emotionally, and physically. The course builds character, perseverance, mental capacity and decision making, authority and responsibility, physical fitness, defensive tactics skills, driving skills, firearms skills as well as increasing your leadership skills and ability to deal with life’s many challenges. The final outcome is you will learn the necessary basic knowledge and skills required to successfully perform the duties of a law enforcement Ranger in the field. This is a sixteen week course of study encompassing over 700 hours (33 credit hours) of training. 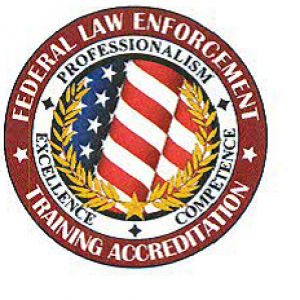 Upon successful completion of the academy, students will receive a FLETA Accredited NPS/FLETC SLETP Certification. This certification allows you to be eligible for a type II (seasonal) Law Enforcement position with the NPS. This certification is good for 3 years. Federally you must be 21 to be a law enforcement officer within the National Park Service. Colorado Northwestern is currently holding two academies per year: spring and fall. Students will be enrolled in the college as well as the academy, but are not required to be part of a degree program. Additional courses and certificates are available to take during and after academy. These courses and certificates are not needed but are recommended. A typical day in the academy starts with physical fitness from 0530-0630, in class by 0750. After lunch, class will go until about 1700. This schedule is approximately 5 days a week. There will be some Saturday, Sunday and night classes. NOTE: CNCC also now offers an option to receive an Associate of Applied Science (A.A.S) in Park Ranger Studies, which combines the NPS Park Ranger Academy certificate with recommended general education courses and electives. If you attend CNCC to get your A.A.S. in Park Ranger Studies, you will be taking courses that have been handpicked to prepare you for success in the academy. Additionally, should you take the ‘add-on’ courses we offer, Emergency Medical Responder, Basic Search & Rescue, Intro to Wildland Fire, and Wildland Firefighting, you will graduate CNCC not only with an A.A.S., and our competitive FLECT recognized NPS Park Ranger Academy certificate, you will also graduate with a certificate in Outdoor Emergency Medical & Wildland Firefighting that contains 4 additional industry certificates: EMR, NASAR II, S-190, and S-130. This entire package will help you succeed and advance in the NPS field immediately. If you already have a Bachelor’s degree, you may transfer your B.S. degree to CNCC making you eligible for the A.A.S. degree or the Outdoor Emergency Medical & Wildland Firefighting certificate. If you are interested in this option, please make sure your official transcripts have been received by our Registrar. Applications are accepted up to one month before academy starts, later submissions require approval. Note: In addition to applying to admission CNCC, applicants must apply for the academy. The academy application process cannot be done online, please contact academy staff for application. All recruits are accepted on a conditional basis pending successful background check and drug test. *These schedules are tentative and can change without notice. The Academy is now eligible under FAFSA for the upcoming fall academy class! Please click here for the online application.